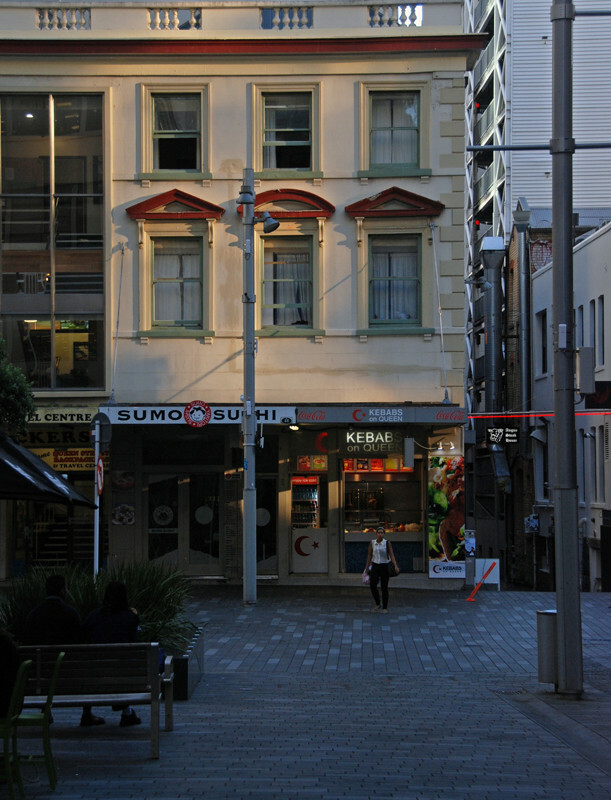 Remnants of earlier architecture in Auckland's CBD. We stayed in Auckland for ten days. The Principal had the roughest of roughest ends of the stick teaching an intensive MA course at the University of Auckland for 7 and half hours of teaching for five days. I was the bagman, cooking in the kitchen, fetching and carrying supplies from the Countdown supermarket in downtown Auckland, then climbing into the Bluebird and driving as far and back as I could in a day to be back to make supper, pull corks and make soothing noises. We gradually climbed the wobbly, nauseous hill of discombobulating jetlag each day waking slightly later to the piercing blue sky and sun, and to the demands of the Principal's gruelling schedule. I found some extra equipment for the kitchenette and managed to persuade the hotel staff to bring us a bigger table. But it all worked and the views of the container port were, if not dreamy, a good introduction to the bustle of New Zealand's trade with the rest of the world. Click on the pull down menu to go to these pages. I'll put links in later. 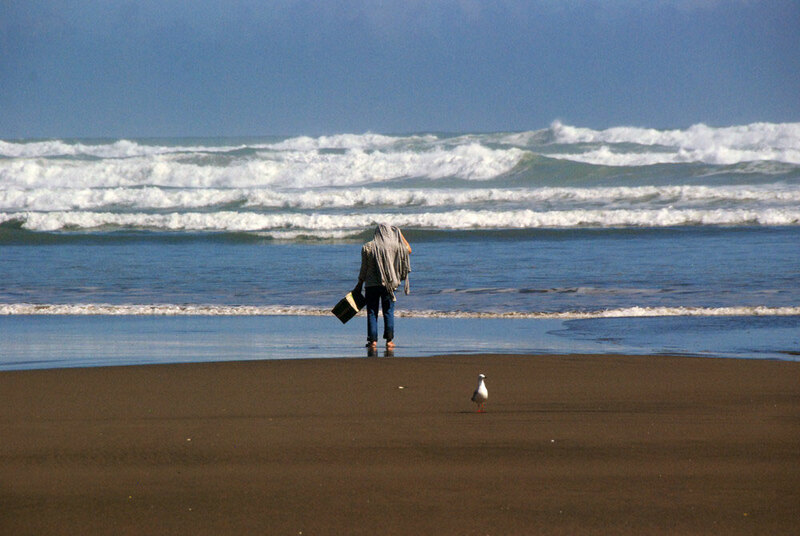 The Auckland West Coast Beaches: surf on a calm day battering Te Henga (Bethells Beach) 30km north west of Auckland. 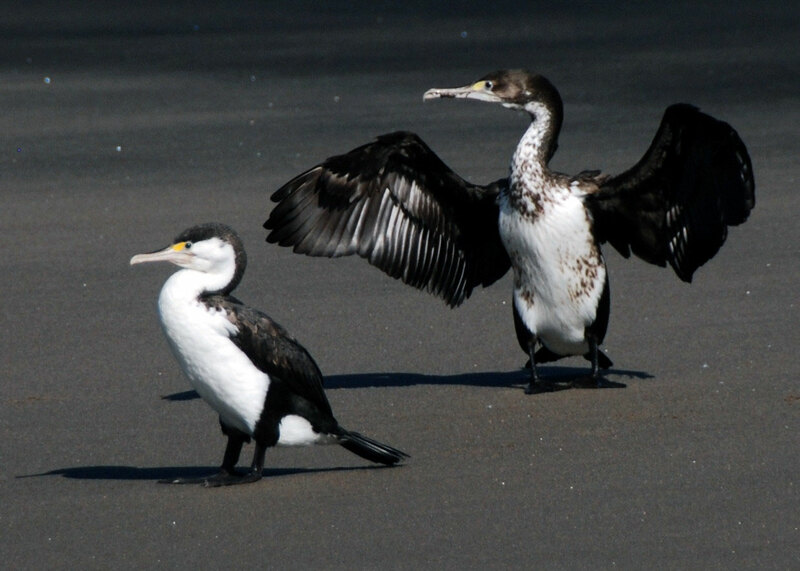 Karuhiruhi/Pied Shag (Phalacrocorax varius ) on the black sands at Whatipu, Auckland.